I sit here writing this in the start of fall in 2018. I look at my PS4 collection and am baffled that I have not one or two Yakuza games in my library but 4 of them. Yes, 4. Yakuza 0, Kiwami 1, 6, and now Kiwami 2. I am bewildered as to how this happen, not just how it happened to me specifically but how it’s happened to the gaming world at large. Yakuza used to be a series that was for Japanophiles who wanted to really go there and were (at the time) begging for Shenmue 3. Not for “normal” people but alas, here we are. Let’s start! Kiwami 2 is a bit of an odd beast. Functionally, it is about…96 to 97 percent of how Yakuza 6 plays. It’s the same “Dragon” game engine, same fighting system, same leveling up system, etc. Kiwami 2 takes place a year after the events of Kiwami 1. The Togo Clan is in a bit of a shambles and Kiryu is all but retired to take care of Haruka (the young girl he ends up with in the last game). However, the clan leader makes a request of Kiryu to stop an impending gang war with the Omi Alliance and he finds himself pressed into service. Considering they make 4 more of these games, I find this happens quite a lot to Kiryu. Thankfully, the fighting engine from Yakuza 6 is used here with only a few minor tweaks. You still punch with the square button do kicks/heat moves with the triangle button, grab with circle and dodge with X. It’s still over the top and impactful with specific strategies from Yakuza 6 (grab enemies and spin them around to win the game) holding strong. The two changes I really noticed are as follows: You can now holster certain weapons and hide them from use. 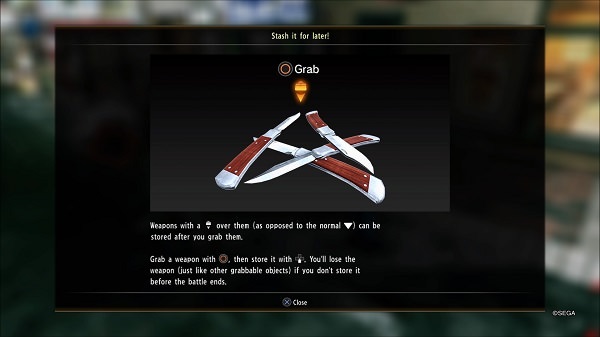 Like, if you find a switch blade in a fight, you can put it inside your coat pocket for later use. If you don’t, when the fight is over the weapon is discarded. Second, you can now hold square or triangle for a few seconds to charge up your attacks. This is a neat idea but the drop kick you do when holding triangle seems to miss more often than it hits. Kamurocho returns as ever and is roughly the same as in Kiwami 1 or Yakuza 6. There are a few small changes but nothing too important, just businesses moved around or a few of the new additions. Instead of Onomichi (the other city in Yakuza 6), Sotenbori returns, which was the locale from Yakuza 6, with a fresh coat of paint. Quite frankly, this is a marked improvement over Yakuza 6. One of the few negatives of the game was that Onomichi was a gnarled mess of a city that had a very confusing lay out. Sotenbori, by contrast, makes complete sense and you can actually find your way around the city quite easily. It has changed more from Yakuza 0, but the basic lay out is the same and it’ll become second nature in no time. 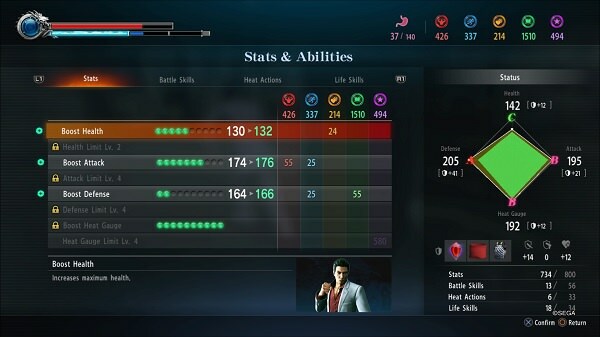 The way you get skill points in Kiwami 2 is exactly the same as in Yakuza 6. You can fight, do side activities, or eat to accrue points to buy new skills and upgrades. This falls into the same red/blue/yellow/green/purple mechanic from Yakuza 6. Some skills only require one color, others might need two or three, and some require all 5 colors. I still have the same problem with this system as I did in Yakuza 6, it’s hard to get specific points if you really need them. Like, if a skill requires 300 yellow and you only have 100 yellow points, it can be a real grind to get more. There are things you can do, like drinking certain things or just getting into fights/doing entertainment stuff but it’s still a slog if you need it. You get a lot of points for doing story missions and such but the system is somewhat broken in this respect. There are two really big mini-games in Kiwami 2 although one is a bit recycled. The recycled one is you (as Kiryu) can host a cabaret club just like Majima did in Yakuza 0. EVERYTHING is the same, they might have different female models and I think a few hand signals are slightly different but other than that, it’s the same mini-game. 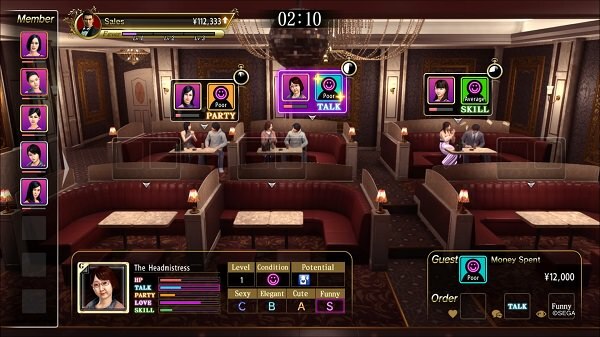 I don’t have Yakuza 0 installed but if I took a side-by-side shot of the cabaret club, I’m sure even the same assets are used in spots. This isn’t completely bad as the mini-game is fairly easy and you can make a ton of money off it but it feels slightly cheap. The other mini-game is Majima Construction thing. 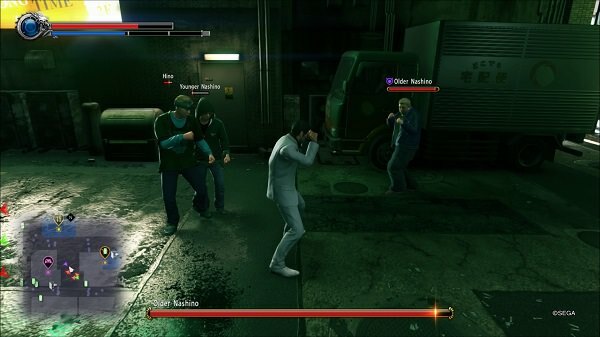 Yakuza 6 had the “Kiryu Clan” which was a reverse tower defense mini-game. 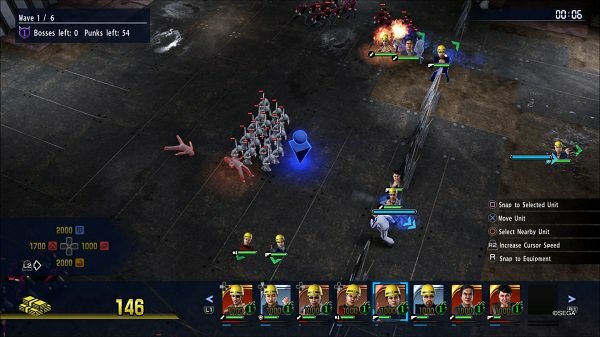 Majima Construction *is* a tower defense game slightly mixed with a RTS. Your towers (the men you control) aren’t stationary but you can move them around at will. The different units are split into a few categories such as: attack, defense, balance and support. There are also different rarity levels for your units and such. This construction mini-game isn’t fun at all. RTS games generally work because you have a mouse and can assign control groups to different units. You only have 4 quick select options (the dpad) to select units. So trying to select a unit that is on the opposite side of the screen, if your quick select is already full, is really tedious. Also, there’s no codes to enter (like in Kiryu Clan) and the entire mode seems very flat. Not having some NJPW Wrestlers in there does make a difference. Plus, the super units you got with the codes really broke the game, and that was fun. Kiwami 2 has other stuff for you to occupy your time with. There is the usual karaoke, darts batting practice and UFO catcher machines for you to do. The arcade games in this game are Virtua Fighter 2 and Virtual On. Here’s a hot take: Virtual On is a bad game, especially when you don’t have two joysticks to pilot your mech. 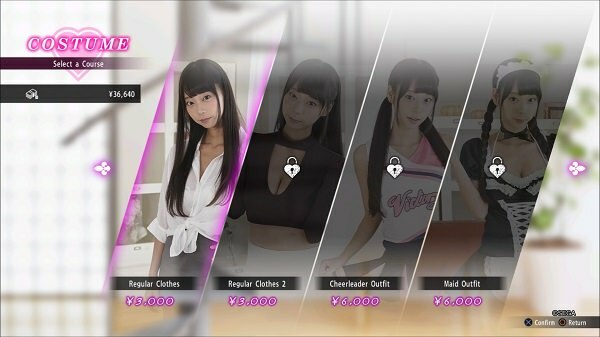 There is a new (and somewhat bad) photo-taking model mini-game that replaces the chatroom in Yakuza 6. You have to string together a sentence to entice the model but it seems really random. The last really notable mini-game is something called “Toylet”. This mini-game involves you “controlling the spray” at a urinal equipped with a video screen against a CPU player. It’s a horribly designed mini-game that gives you no feedback on what it is you’re actually supposed to be doing. Eventually, you can play as Majima in his own separate storyline/quest. It is fun to play as him but it’s an extremely short experience. I finished it in about an hour or so and even then I was kind of purposefully screwing around to extend it out. In some respects Kiwami 2 is a better game than Yakuza 6 but that’s almost strictly related to the battle system. Most of the other ideas in the game are recycled from past games or there is a slight reduction in production quality over Yakuza 0 or 6. 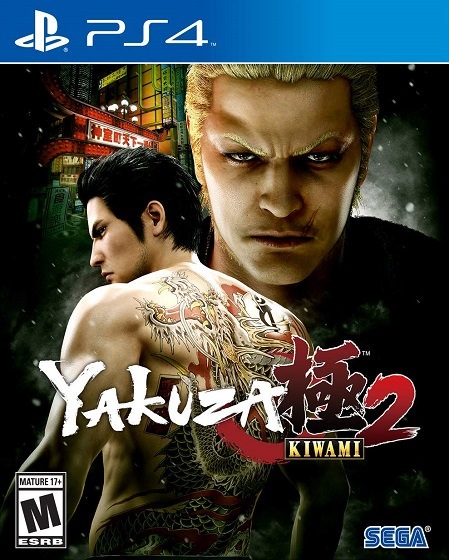 Still, Kiwami 2 is definitely better than Kiwami 1 and if you’re a fan of the series, you’ll pick it up of course.